Over the next few weeks, besides musings and other spirit communication information, I’ve decided to share some excerpts of my new book, Psychic Integrity, Ethics and Morals of Modern-Day Mystics here in the blog. I figured it would be the best way at the moment to give you a good look at the book and know what it is about. The concept of ethics is generally described as professional standards of conduct; uprightness and honor: being fair. Ethics are derived from social commonalities. They come as a result of what is deemed as usual or “the customary response”. Many psychic readers think of ethical behavior as something such as: I will charge you a fair price; I will not share your information with anyone; I will refer you to a professional who may assist you, such as lawyer, financial expert or psychologist. I feel ethics start (or should start) many years before the person begins working with clients as a reader. Much of it comes as part of your upbringing and the way your parents or families teach you about life and respect. It has to do with your integrity. The integrity needed for psychic readers comes as they are learning to use their psychic gifts. Many are born with these gifts, but may not instantly know how to relate the information to the client. They may not know about the higher and lower levels of entities sending the information. It could very well be coming from a low vibration wanting to trick them or just play around. So discernment of sources is very important. This all comes with study, practice under mentorship, and trial and error. Many psychics consider offering advice or dealing with information of a personal nature as a business, and have a code of ethics to govern that business or protect themselves and the interest of their clients. This would, of course include the professional psychic. The code of ethics is something felt as being important to make known to the general public. I’ve researched many materials of psychic readers and psychic organizations and have come up with a composite of ethical statements they have listed. Treat all my clients with respect regardless of origin, race, religion, gender, age or sexual preference. Keep confidential the names of clients and information shared or discussed during readings. Recommend consultation with a licensed professional for advice of a legal, financial, medical or psychological nature I am not qualified to provide. These are statements I agree with. They are definitely necessary for anyone in business on a personal level. I want to take it a step further. Integrity is what should be defining ethical behavior. The issue is not how you work with the general public. It is how you live your life, how you are trained, how you learn, how you practice your abilities: being the best you can be for your client. Many readers also state their readings are for entertainment purposes only. Although many of the readings I do are humorous and light hearted, I do not consider them entertainment. This gives the feel of a three-ring circus. Psychic work is a much higher calling than entertainment. I take it very seriously, and intend it to be of value to my client. It should be an aid in looking to the future, in decision-making and understanding past or present circumstances. I understand some psychics use the words “for entertainment purposes” to protect themselves from the general public who may unscrupulously accuse them of deceit or fortune-telling. For those psychics I suggest they pursue a counselor’s license or minister’s license. Pursuing further education would fully complete their dedication to assisting other’s with their life problems. It would be the most logical direction for anyone who works with the public in a caring and dedicated manner. Each person is encouraged to look into his/her local and state government laws for guidance in this area. Look for the next installment of excerpts for Psychic Integrity. I’ll be posting it soon. Let me know what you think. Take a second and add a comment at the bottom of this post. Your feed back is very imoprtant to me. Joan of Arcadia was probably my all time favorite television program…at least in my adult years. And it wasn’t the plot so much that I liked. I mean, most of us have had issues with boyfriends, high school and family stuff. It was the talking to God thing Joan did; and God talking to her. And the fact that God just showed up in anyone’s body. It made me start thinking. About the time Joan of Arcadia was on, television really started opening up to the spirit and ghost thing. Starting out with the television series, “Medium,” and the spiritual gifts that are given to some of the characters in “Joan of Arcadia,” I noticed there were many people (real world people) starting on the search of their own spiritual gifts. Now there are more programs on the air waves, like Ghost Whisperer and others on cable stations that deal with psychic children, animal communicators, ghosts and hauntings. Folks are really waking up to the “ether world”. Now it is important to pay attention to who or what you are becoming aware of. Discernment of Spirit has been mentioned in the first book of Corinthians (12:10) of the Bible. It is probably one of the best suggestions that God has ever given: to discern spirit. In the last “Joan” show of the series, discernment is talked about solely as a means of recognizing spirit entities. However, it goes much deeper than that. It is not only recognizing spirit entities, but knowing the quality of intent each entity has. Thus, knowing if it is of a Godly (good) nature or not. Being a Spirit Medium, I have first hand knowledge of its true meaning, which I’d blog about another time. But in the show, Joan knows there is something wrong with the energy of Ryan Hunter, the stranger who rescued Adam and is the president of the Citizen’s Watchdog Committee. She knows it even without God coming out and telling her. God, of course, is the only one who has the right to judge, but still does not. He is willing to let things be what they are. Joan has always been intuitive, psychic and mediumistic. Otherwise she would not have been seeing and talking to God or her young deceased friend from the previous season, Rocky. 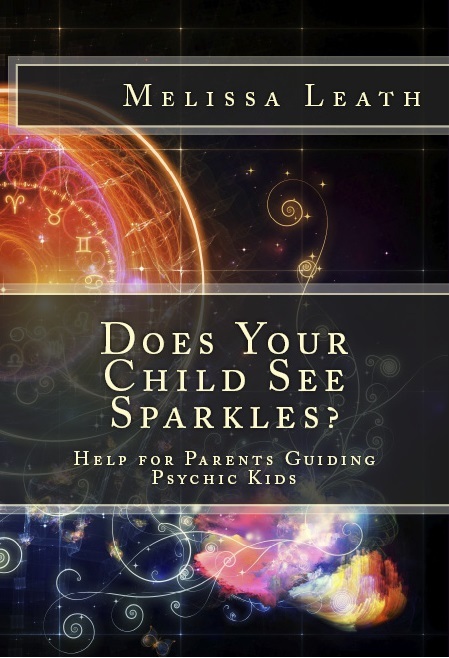 Joan’s mother, Helen even began to recognize her own psychic abilities. This type of thing quite often happens when the energy of a physical place starts to be charged with emotion or major change is taking place. Many people who are sensitive will be much more aware of spirit energy. I believe this happens to give warning and an opportunity to work towards balance. A great time for prayer, reflection and love. In our world today, the energy is charged with emotion and change. And since television has put so much paranormal (or is it just…normal?) activites on for us to see and relate to, many of us are becoming aware of the thing that has always been ours: psychic/medium abilities. We’ve just been too busy with our lives to pay any attention. But think about it: if your best friend buys a white volkswagen, all of a sudden all you see around you are white volkswagens. In reality, they have always been there~just out of your awareness. The same for psychic abilities. You’ve always had them, just too busy to be aware of them. Then when so many new programs are coming on television with spirits and ghosts as the themes, you start picking up on it. But let’s be clear: just recognizing a spirit isn’t all there is to it. You must recognize how that spirit’s energy is. What does it feel like? Is it comfortable or edgy? If not bringing uplifting vibrations to you, then do not entertain it. Tell it to go away. You don’t have to accept it around you. You are in charge of your own energy space. Then think on higher, loving thoughts. I’ve got much more information in my website http://www.PsychicIntegrity.com Feel free to read the articles there. Live your life with integrity! Being a Certified Medium for the past 30 years, Melissa's learned so much when it comes to metaphysical and spiritual concepts. She also has seen plenty in the seance room. Rev. Leath is a recognized meditation and spiritual growth expert and has worked with thousands of clients and workshop attendees spreading the idea of empowerment. She is an author of several books and CD's including the soon-to-be published (September 2011 Balboa press division of Hay House) "Psychic Integrity: The Respected Practice of Modern-Day Mystics," which is a guide book for novice and seasoned psychics and mediums as well as their clients. Animal Instinct vs. Human Intuition: Are They the Same? Why children see entities that are invisible to us.